Over 1200 people were killed in Coventry in World War Two. 808 of these are buried at London Road. Many of those killed do not appear on this memorial, if you would like me to check for a particular name not listed please contact me. I am happy to help, there is no charge for this service but should you wish to make a donation to enable me to spend more time adding to this site, even a small donation is much appreciated. Here you will find an index of victims of the Coventry Blitz who are not listed on the London Road War Memorial. Where I have researched additional details regarding these deaths, you can click on the links below to access my research findings. If you are looking for an index of individuals listed on the War Memorial, this link takes you there. If you have a relation who was killed in the Blitz and would like me to add more information about them and how they died, perhaps even a photograph, just contact me. Where I have researched relevant information regarding an individual listed below, you can click on their name to find out more about them. If a name is not clickable, it means I have yet to find information about them. If you have knowledge about an individual to help me fill in a gap, then please let me know. Owen Martin. (Information supplied by family member Anne in 2013: Owen was working in a tyre factory on Coventry at the time of the blitz when he disappeared. 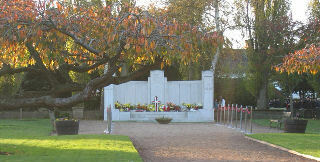 It is possible that Owen is one of the 35 unidentified blitz victims buried in the mass grave at London Road Cemetery).